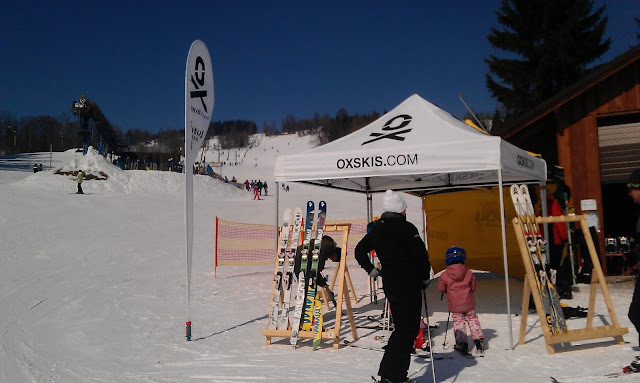 During the winter season 12/13 people could test OXskis in couple of Czech ski resorts (some picture visible here). In March, I helped Ondrej in Dolní Morava and Paseky nad Jizerou. 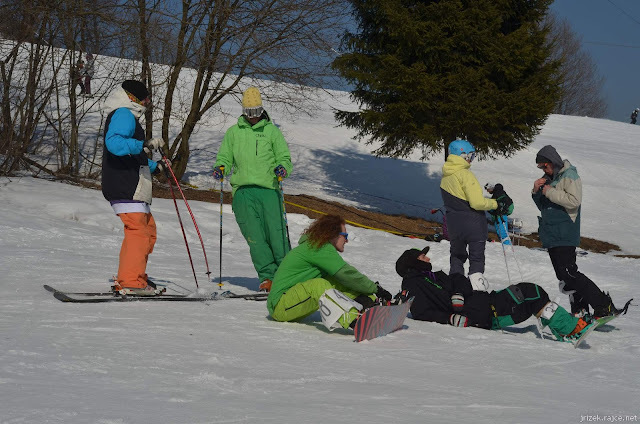 OXskis and Alpine Pro at Dolní Morava. 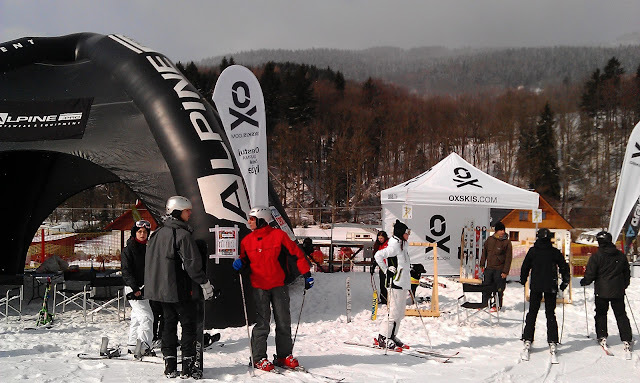 At 16th of March we went to Dolní Morava also with Dan and his tent of Alpine Pro. 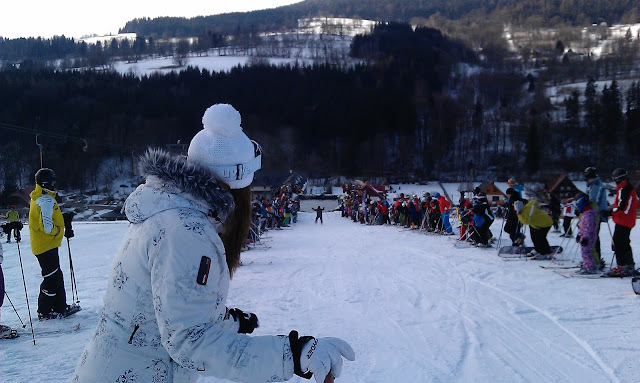 It was said to me that Dolní Morava used to have the best snowpark in Czech republic. As we could see, not anymore. In this time, they are looking for somebody, who would be able to take care about the park. It was a pity, I was looking forward to check another park. In the afternoon there was a contest in riding through artificial lake, water plash. No doubt it was the best part of the day, a lot of people was watching it and supported their favourites riders by making a noise :). Ondrej, as a succesful rider, won a flower-tea. Next day we visited Paseky nad Jizerou, where took the place 2 events in one time – One Day In by freeride.cz and Springjam. I didnt know what to expect, I had never been there before. This place is around 3 hours away from Prague. Truly said, it was really nice suprise. Moreover, bluebird made the day even better. The park was quite long with 2 kickers. Those were lil bit weird, narrow with almost no landing, but it was cool to see that shapers are trying to do their best and also prepare the park for the riders. 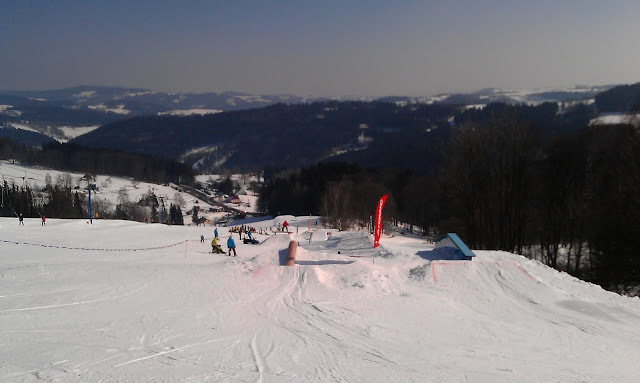 The snowpark in Paseky nad Jizerou from the top. Chill before hitting the park. I was jibbing all day. Organisation of the Spingjam was even more weird than kickers. No ridersmeeting, no information what, where, when, who… :) The good point was we were able to shred all day without any problems. Except me there were another two skiers, Verča and Lida. They were riding pretty stylish with nice tricks! Go girls!! Around 15:30 contest had stopped. Lil bit later judges announced the winners. 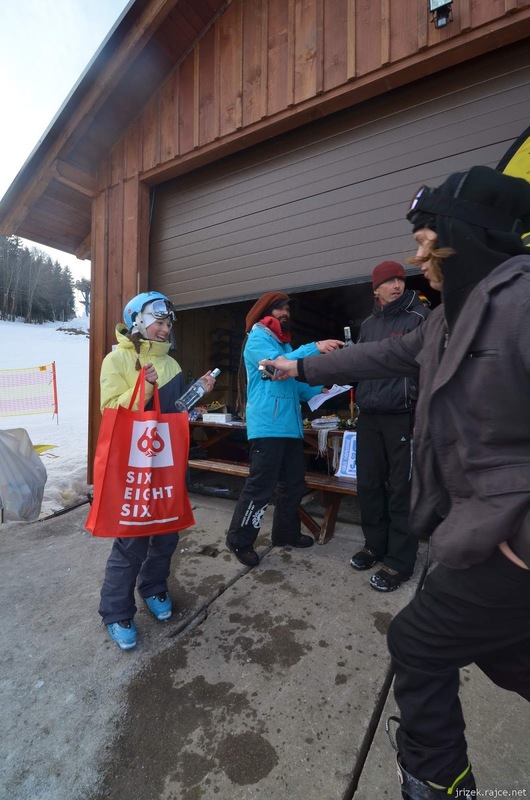 Steven took the third place in a cathegory snowboard men. In freeski men Fanda Jetmar won, freeski women I took the first place.